One of the biggest days in the smartphone calendar has now been and gone. 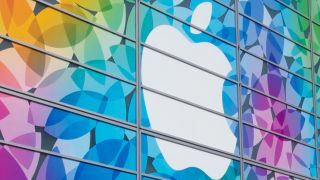 This year's event saw a trio of new handsets, a new smartwatch and even a new TV box launched at Apple's new Cupertino HQ. here. Welcome to iPhone launch day! We've seen Apple take the covers off a number of handsets, along with a new Apple Watch 3 and Apple TV 4K. The big announcement was the iPhone X, which is boasts a bezeless display, no home button and facial recognition rather than a fingerprint scanner. It wasn't alone though, with two further handsets turning up in the form of the iPhone 8 and iPhone 8 Plus. Below, and over the next few pages, you can see how the iPhone X event went down. When was the iPhone 8 launch? The iPhone X launch took place place on September 12, 2017 at 10am PST (San Francisco), 1pm EST (New York), 6pm BST (London), 10.30pm IST (Delhi), while in Australia it was at 3am AEST on September 13. 11.51 - Tim is back to round things up. He's very excited about iPhone X. That's it all, thanks so much for being here with me. I've got to go and shoulder charge a number of other journalists to bring you previews as fast as my little fingers can snap pics and type. 11.48 - iPhone X will come in 64GB, and 256GB too. It'll start at $999, and will be launched on November 3. You'll be able to pre-order from October 27 though. The 'delay' stories were true it seems - Apple will have to work hard to maintain that buzz. 11.45 - The touch system has been upgraded to be more responsive than ever - according to the relaxing Sir Jony Ive, and the new camera it easy to unlock your phone with your face. It's basically what we've just heard - but he's saying it in a more dramatic way. Being able to face unlock in the dark is amazing... but again, will it work every time? That's the issue we had with the Note, and it has to work well. The dual camera system is redesigned, with a quad-LED flash, and the camera is smarter to work out what it's seeing before taking the snap. Still surprised the iPhone X wasn't the poster child for augmented reality. 11.44 - The iPhone X 'is the future of the smartphone'. That's a bold claim when a lot of these features are on other phones. But the ideas Apple takes aren't the smart ones, they're the refined ones. Face ID, for me, is going to be the big thing to test - if it doesn't work flawlessly, there's a real issue. 11.41 - The iPhone X has two hours better battery life than the iPhone 7 - and it'll also be wireless-charging enabled too. But Craig thinks Apple can make it better - there's a new mat that allows you to charge the watch, phone and new AirPods wireless charging case on it. Shrug. It's called AirPower - it's designed to make other improve their products, to make wireless charging better. 11.40 - The True Depth camera on the front can take Portrait Lighting photos - that's impressive effects on selfies. That could be a real winner... if anyone can afford this phone. 11.38 - This camera is designed to rival the Note 8 - dual cameras, 12MP on each, and optical image stabilisation on both. F/1.8 and f/2.4 on both the normal and telephoto lens - although we're not sure the second one is actually telephoto. ARKit is tuned for the iPhone X - we thought there would be far more on the capabilities here. Why is it vertical, and not horizontal, like on the Plus range? 11.37 - You can make little videos using Animoji - Tim just made a joke about being an alien. I'll be honest - that is some futuristic stuff. Very impressive, although who knows how much it'll be used if not everyone buys this phone. 11.35 - ARKit has been upgraded as well, working with some face tracking ability. Snapchat is working with it - Craig just showed off the face tracking and it makes a perfect mask of your face. It does work very well. Animoji now - Craig is being a chicken and a unicorn. It follows his face well... but WHAT AM I WATCHING? 11.32 - Now we're into the new iOS 11 - the swipe up from the bottom, and you're going to and from the home screen. Video looks more immersive - and with multi-tasking, you swipe up and stop and the other apps come in. This phone is very gesture-based as you'd imagine, and go back with a swipe at the bottom. Control Center has moved to the top right - swipe down to get access. That's very similar to Android now. Face ID shown off again. Works instantly this time, although there's a slight moment of waiting to see the padlock unlock. Do you have to hold it at the right angle though? 11.31 - Craig Federighi is on stage to talk about iPhone X, the phone Apple has been 'dreaming' about. Uh-oh - the first Face ID unlock didn't work! That's worrying. Craig had to go to a second phone. 11.30 - There's another experience coming as well - it's the emoji that's getting an upgrade (I'm guessing they're going to move). OMG IT'S ANIMOJI that you control with your face. 11.29 - Apparently identical twins can spoof it though - interesting that Apple brought that up and made a joke with it. Face ID will work with Apple Pay as well - wonder how easy that will be when you've got to look at it then pay, when the fingerprint is so much easier that way. 11.28 - It'll only unlock when you're looking at it though, to know you're alive. Touch ID was one in 50,000 in terms of safety. Face ID, is one in a million... but what matters is if it works when you want it to. Without that, the iPhone X is screwed. We have to assume that Apple has got this right. 11.25 - There's the first ever neural engine, the A11 Bionic Neural chip, with a dedicated chip for facial recognition. The engine is its own processing system, with a dual-core design. Basically, it'll work in real time... but will it really work in the dark? That's the key thing. You'll show it your face from all angles over time. It'll even work with hats, glasses and it learns who you are and adapts as your face changes over time - including a beard. It can't be spoofed by masks - they even worked with mask makers in Hollywood to stop it being faked by someone making a 3D model of your face. 11.24 - The 'True Depth' camera sensor is at the front, it's got a front camera, dot projector, and the infra-red sensor too. It'll even work in the dark, with the infrared and dot projector combine using a neural network to see if you're... you. 11.21 - You just swipe up from any app to get home, 'it's just so much nicer', says Phil. Nicer than the iPhone 8? Siri doesn't have a home button. Or you can press the side button in, and just talk to Siri. Dammit, there's a Bixby button here too. I hope it's not as annoying. Unlocking - here we go. The first iPhone had slide to unlock - then Touch ID to unlock your phone with a fingerprint. 'But we know we can do something much better'. The iPhone X is locked until you look at it - it's Face ID, as expected. 11.19 - There's a new display, the Super Retina Display, it's 5.8-inches on the diameter. 2436 x 1125, which is 458ppi, the highest sharpness in an iPhone ever. That makes it all display, using OLED technology, the 'first OLED display that's great enough to be in an iPhone'. That's a dig at Samsung, with Phil talking about how the tech is finally good enough without any trade-offs. It's got HDR with both Dolby Vision and HDR, and the point of it, according to Phil, is a more experience that's more fluid and intuitive. You can wake it up by tapping the screen - but there's no home button. 'A big step forward in the iPhone experience'. Now, when you want to got to the home screen, you swipe up from the bottom. 11.18 - The iPhone X is real, but it's pronounced iPhone Ten. Phil's back to talk about it. It's got stainless steel on the sides, glass front and back. 11.16 - Tim is back: "We've got One More Thing... and we don't use those words lightly". "The team has been working on the future of the iPhone - 10 years later, we're here in this place, on this day to reveal a product that will set the path for technology for the next decade."